Most people would agree that having twins is a challenge. It’s almost impossible to explain just how much harder twin babies are to singletons. Not just because they are twice the work, but they take up twice the space! Just imagine having two of everything – crib, bassinet, rocker, bouncer, etc. As a twin mom, I know the true meaning of clutter! 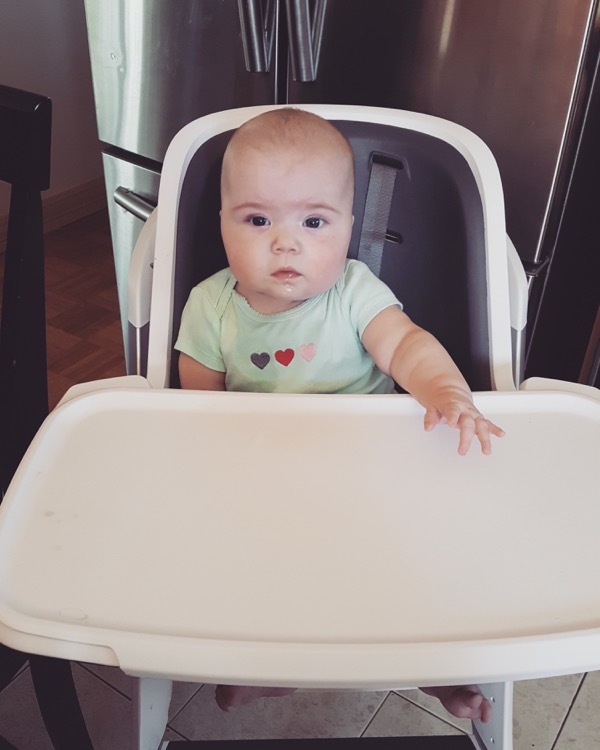 My twin girls – Ella & Rose are 6-months-old and have started solids so we have added high chairs to that mix of two’s of everything. When buying a baby product, I look for something that is going to simplify my life – not complicate it! 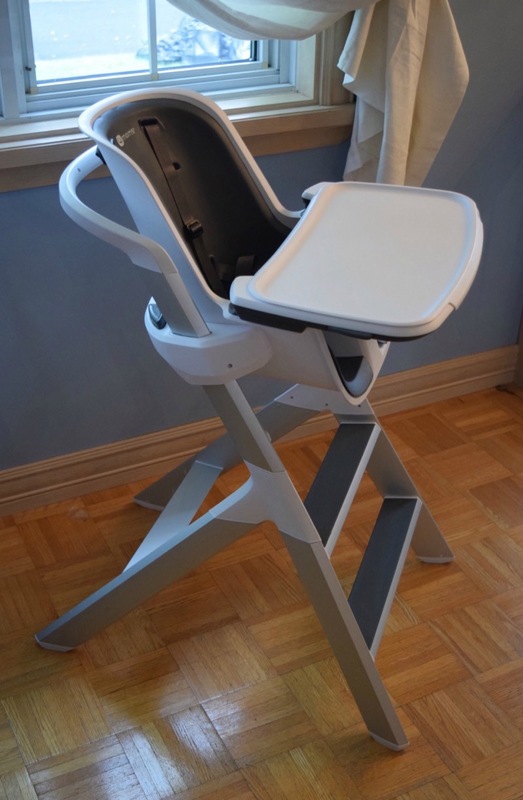 There is no other high chair on the market that fits this criterion more than the new 4moms highchair. I knew I had to have it, after getting a sneak preview of its innovative design at the annual ABC Kids Expo, in Las Vegas. Having a 5-year-old child, I know how irritating a highchair can be. 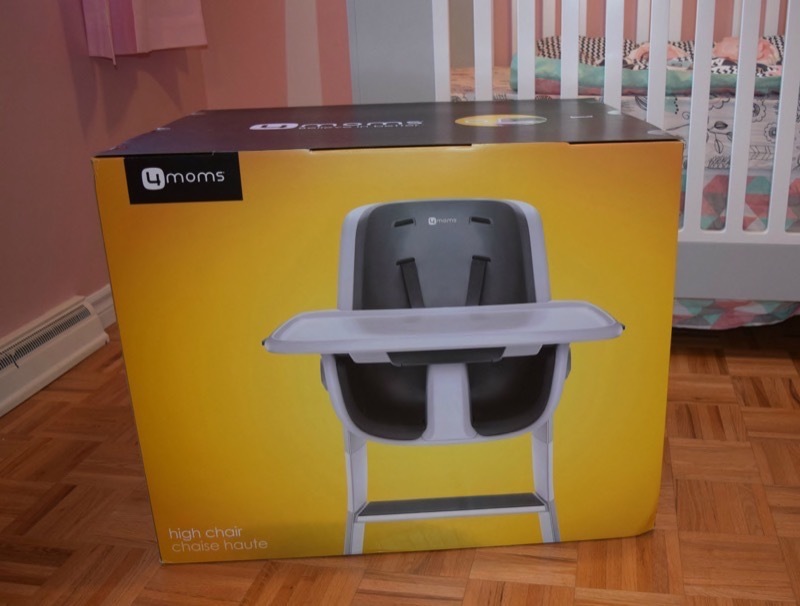 It was almost like winning the lottery when I would attach the tray on her highchair when she was a baby and don’t get me started on cleaning that big bulky thing! With the 4moms high chair this parenting peeve no longer exists. Magnets guide the tray into position without having to use two hands or line up cumbersome rails. Better yet, you no longer have to worry about what I call the classic baby bowl shove – the one that makes that yummy spaghetti go all over your kitchen carpet. 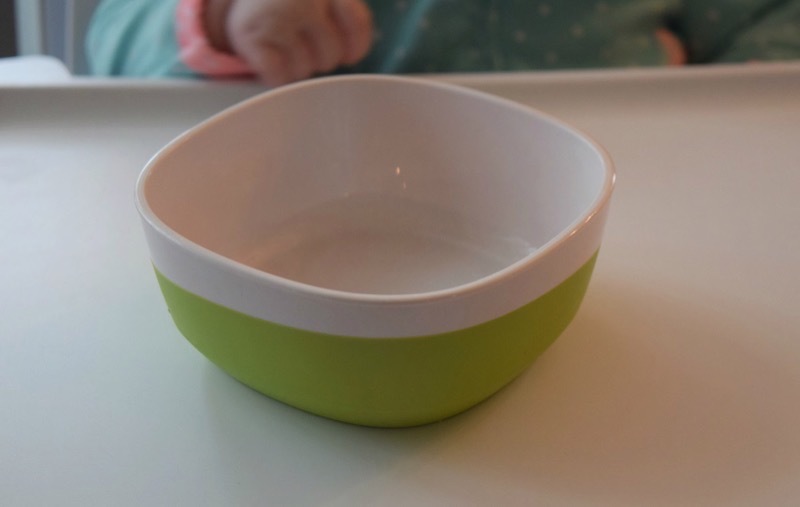 The bowls and plates stay in place on the magnetic tray top, which also helps assist with self-feeding. Additionally, the 4moms high chair is designed with easy cleaning in mind – no fabric to clean or nooks and crannies for food to get stuck. When designing the 4moms high chair, the brand recognized longevity is an important feature. Not only can my 6-month-old twins fit comfortably in the highchair, but my 5-year-old daughter too. I’m not kidding she begs me to sit in the chair everyday! 4mom says children up to 60 pounds can fit into the seat. 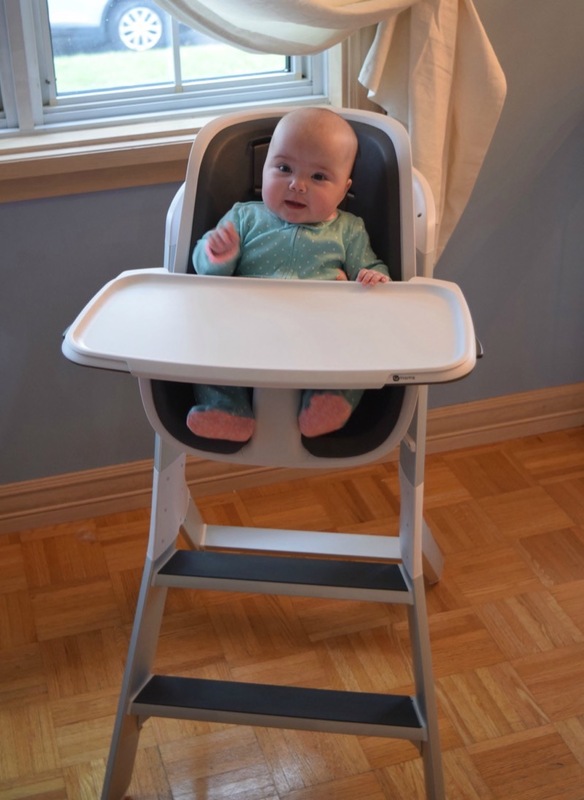 To accompany the 4moms high chair is a line of of accessories – bowls, plates and utensils – that are designed to work with the 4moms high chair. The high chair comes with one large bowl and lid from the set. I love its sleek design and plan on purchasing more in the future. An adjustable 5-point harness that can be transitioned to a 3-point harness as the child gets older. I recommend the 4moms highchair for every type of parent. No matter if you’re a parent of one or multiples you’ll appreciate a baby product that makes parenting easier! 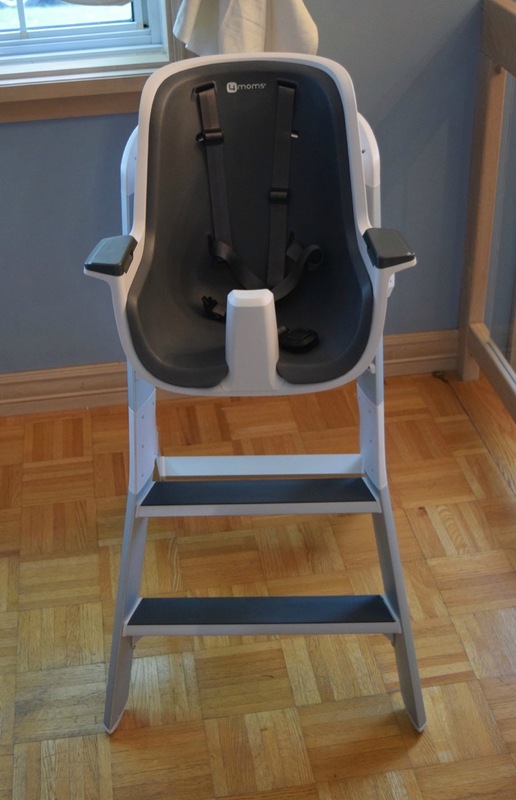 The high chair retails for $299 USD and can be found at your local baby specialty store, Amazon and 4moms.com. Be sure to follow 4moms on Twitter, Facebook, and Instagram.